Mens possum / merino jersey. Looks and feels great. 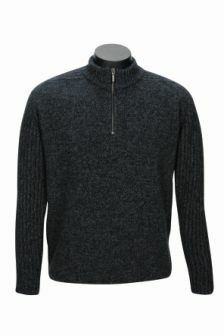 A crew-neck jumper with a 1/2-zip opening. The top of the shoulders and the sleeves are in rib knit and the wool has a black fleck. 20% Possum, 70% Merino, 10% Nylon.